This season I’ve designed a number of different landscape walls. 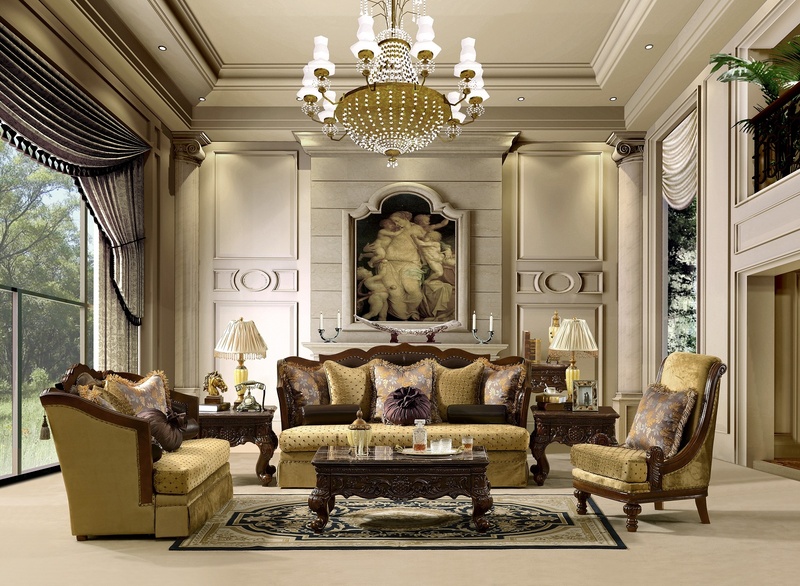 When considering a wall, don’t forget about lighting! 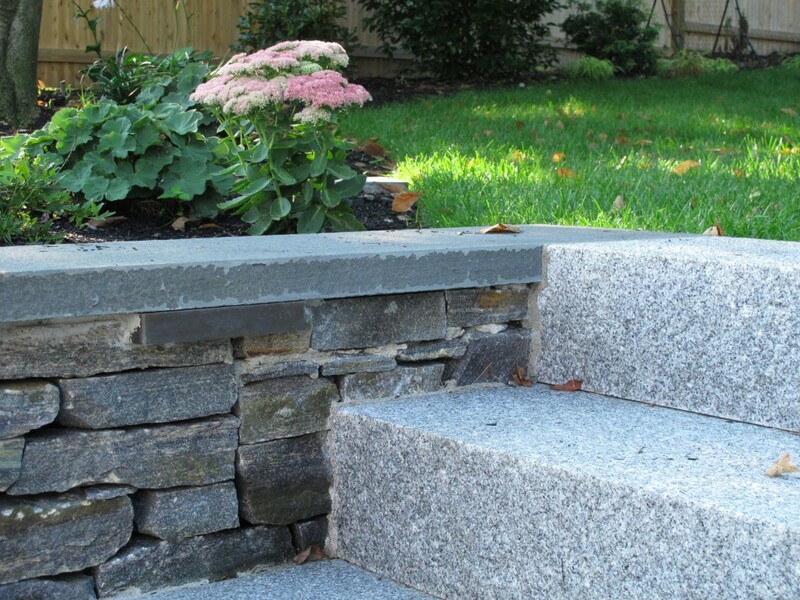 It is a critical component to the plan and a great way to highlight the natural beauty of stone work. 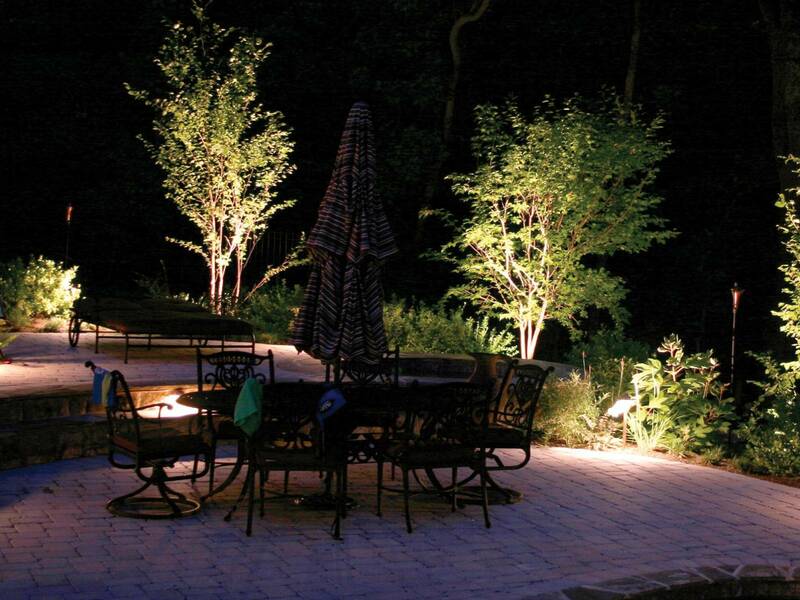 There are a few different types of light fixtures and techniques I like to use when lighting a landscape wall. 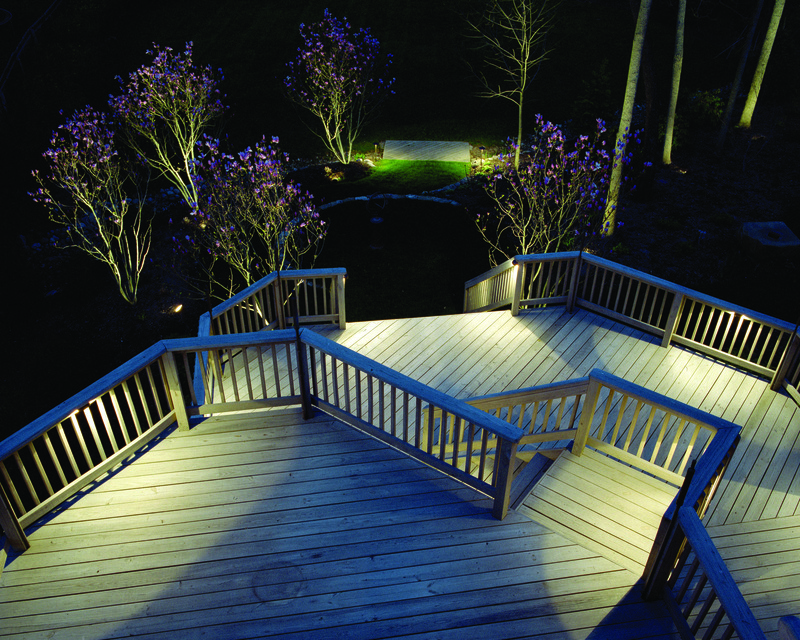 Professional Recessed Lighting Of Landscape Wall. In this case, the housing for the light fixture is built right into the wall. 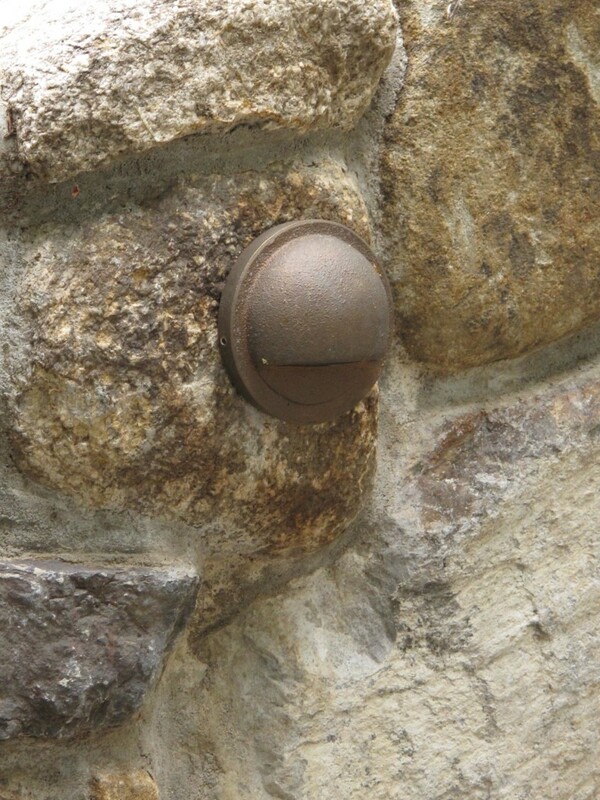 The fixture sits flush on the wall and casts a wash of light down the stone work. This approach requires advanced planning so the housing can be cut into the wall core. 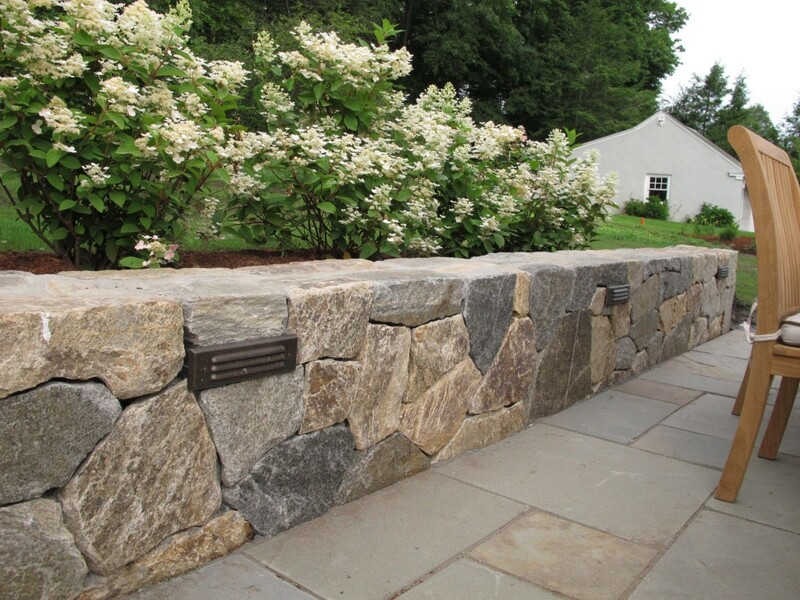 This is a great approach for a wall with a mortared cap (where the same stones used on the vertical surface are used on the horizontal surface and mortared together), and a wall where the face is fairly flat and regular. 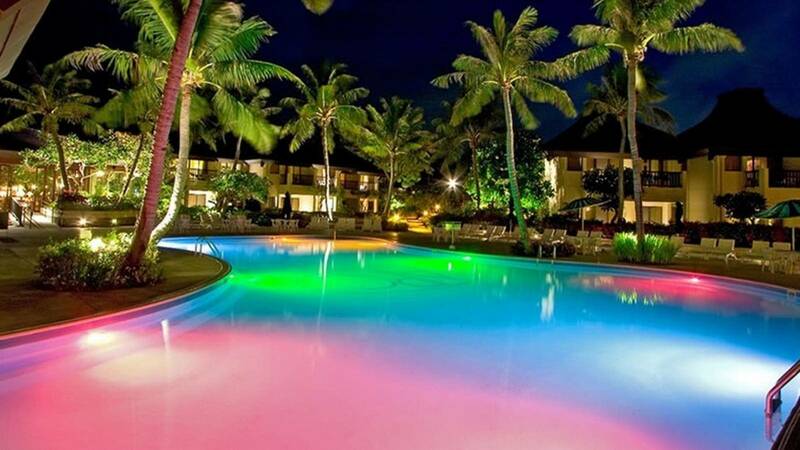 Great Sample Of Under Cap Lighting. 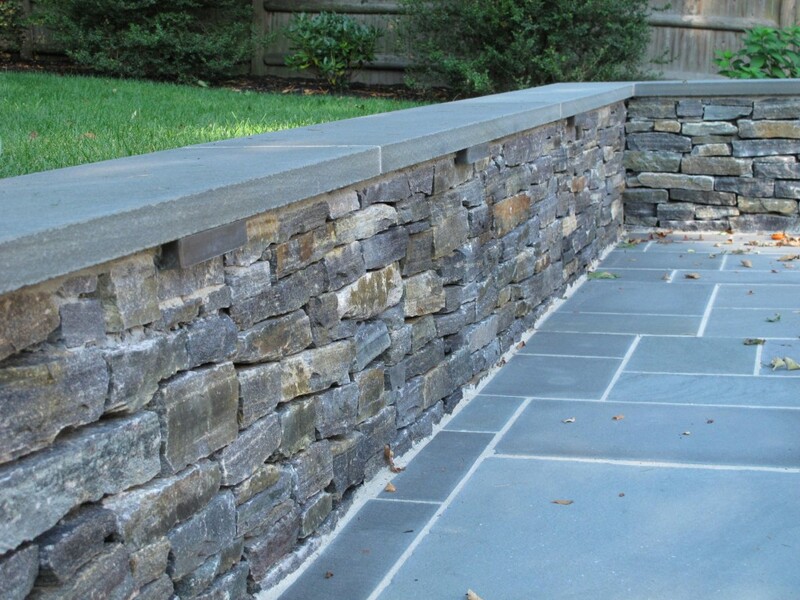 If I specify a monolithic cap to a wall (blue stone for instance) that cap usually overhangs the core wall by and inch or so on each side. 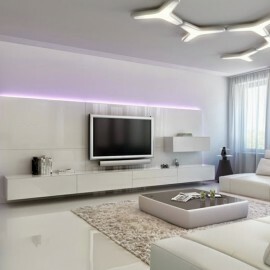 That overhang provides a perfect gap in which to set a light fixture. These under cap fixtures have a plate that slides between the top of the wall and the cap, and the fixture washes light down the wall. 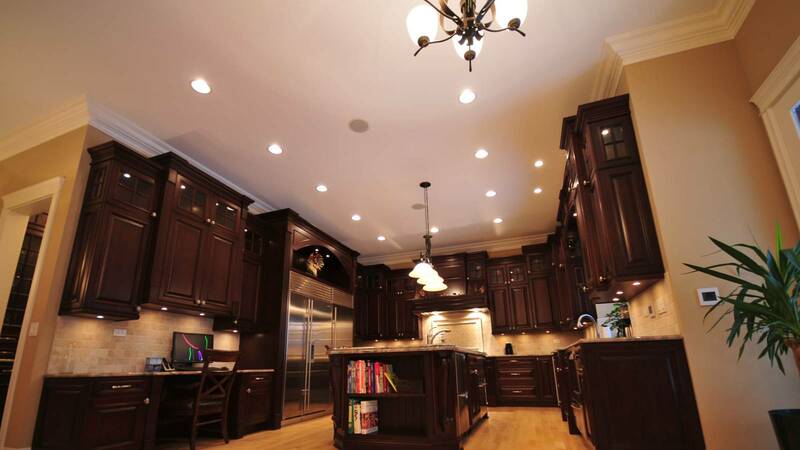 You want to make sure your cap overhang is as deep as the fixture, so the fixture doesn’t protrude. 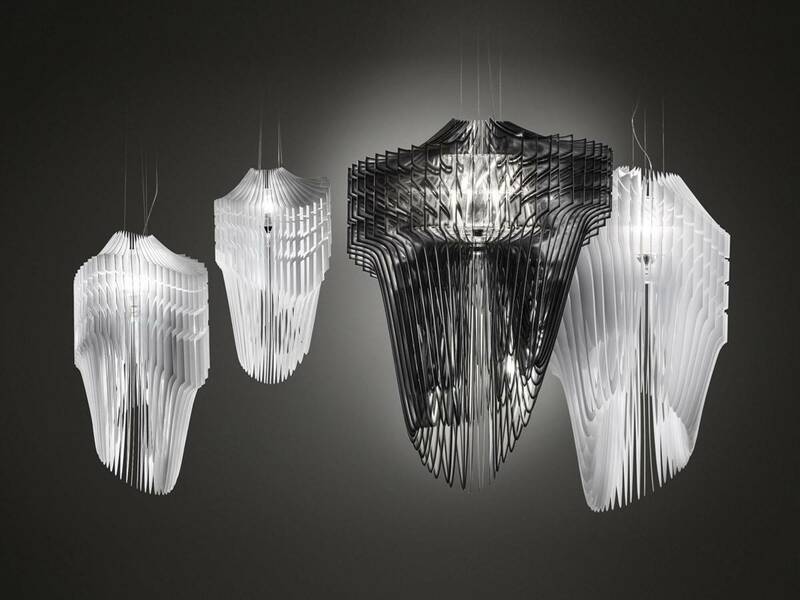 This approach is great because it gets the light source as high as possible (for maximum illumination) and the fixture is almost invisible. 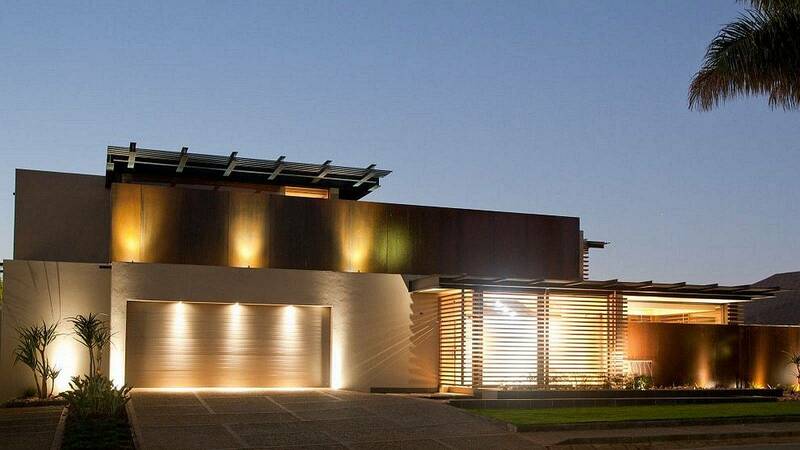 This is a great approach for lighting a wall that already exists. The fixture is actually mounted right to the surface of the wall. 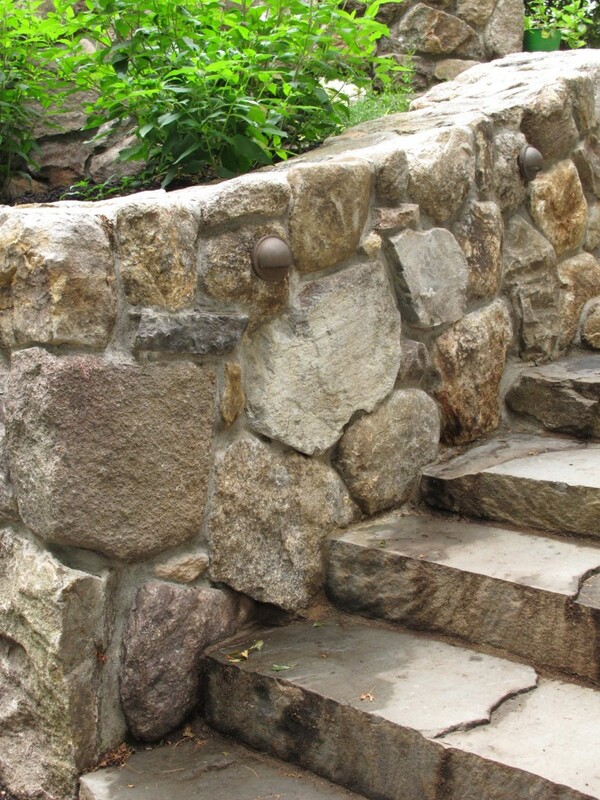 The round puck light works well in this application because the wall is curved, and because the stones are more rounded. 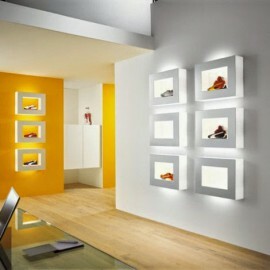 You will see how the fixtures are mounted as high as possible on the wall for the maximum spread of light. 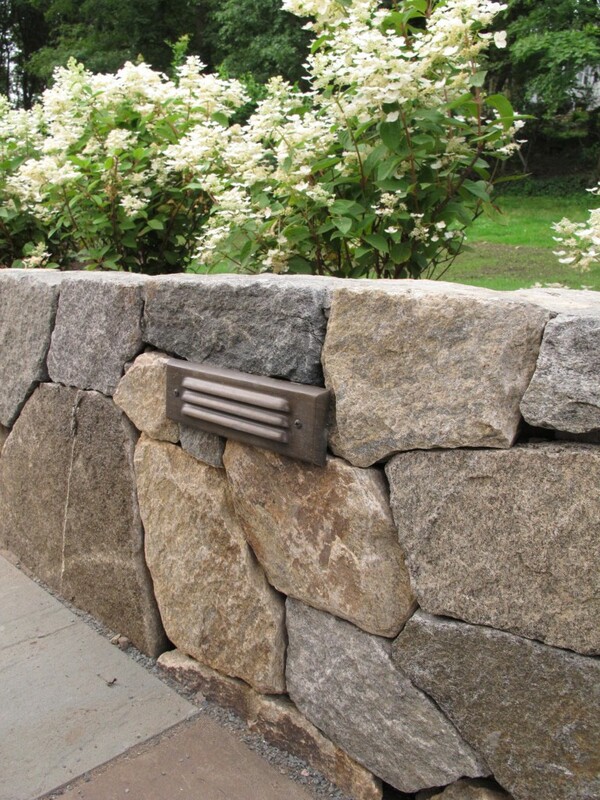 So there are a few thoughts and fixture options for lighting a landscape wall! 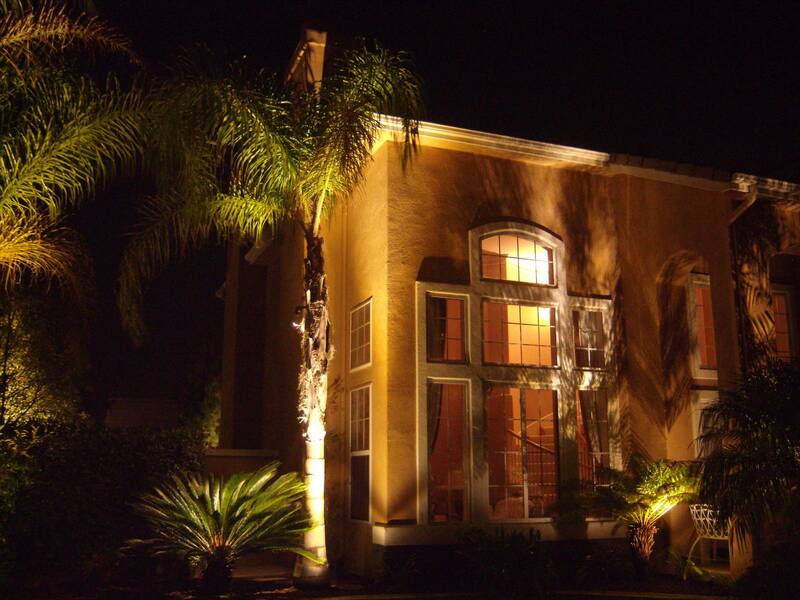 As with any landscape lighting, remember to think about the placement of transformers, wire conduit, and your fixture type before you start your masonry work.